Mr. Akaka — that is, Sen. Daniel Akaka, Democrat of Hawaii — died Thursday, April 5 in the Aloha State, according to local media reports and the office of Sen. Brian Schatz. 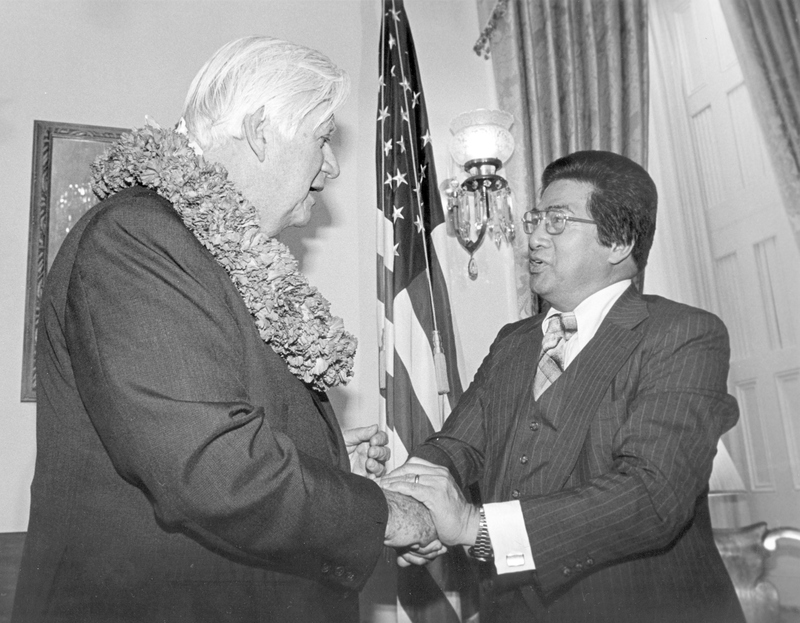 Akaka was the first senator to be of Native Hawaiian descent, and he came to the Senate in April 1990, appointed by Democratic Gov. John Waihee to fill the seat vacated by the death of Democrat Spark Matsunaga. He won a special election later on that year to serve the rest of Matsunaga’s term, then re-election in 1994, 2000 and 2006, and retired after the 2012 elections. Originally elected to the House in 1976, Akaka projected a low-key and gentle vibe that he attributed to the spirit of Aloha, a mantra among many in his state. In the Senate, he largely served as junior sidekick to Daniel Inouye, who had represented Hawaii since territorial days and wielded immense influence as chairman of the Appropriations Committee, among other powerful positions on Capitol Hill. Inouye died Dec. 17, 2012. 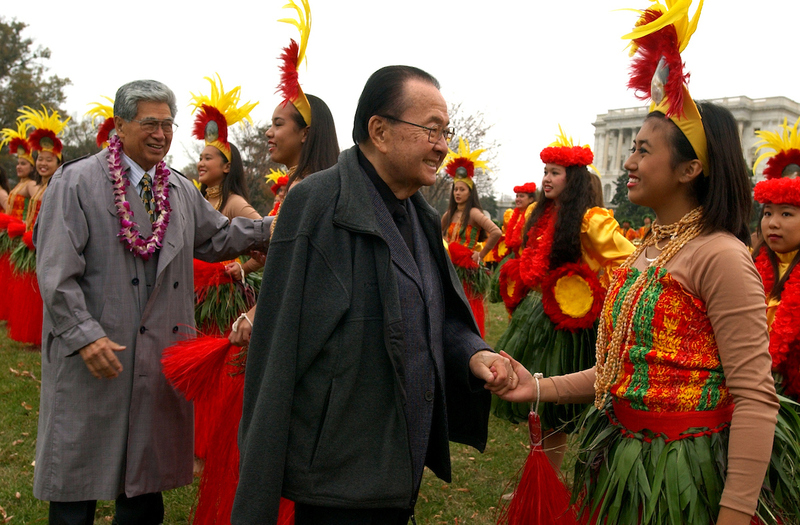 The two men were born just days apart, with Inouye born Sept. 7, 1924, and Akaka on Sept. 11, 1924, both in Honolulu. Democratic Rep. Ed Case was challenging Akaka in the primary at the time. Case, then 54, argued that while Akaka did indeed personify Aloha, it was time to start thinking about the future, since both Hawaii senators at the time were 82. Inouye and the rest of the Democratic establishment threw in for Akaka, insulted that Case was not interested in waiting his turn. Akaka won the primary, 55-45 percent, and had no problem winning the general against Republican Cynthia Thielen, 61-37 percent. Akaka did chair the Veterans Affairs Committee, as well as the Indian Affairs Committee, from which he advocated for a long-sought cause: recognition of Native Hawaiian sovereignty and recognition as an indigenous people. That legislation never became law. He was no strict party-line guy, either, breaking with his Democratic colleagues on two high-profile issues: He voted against authorizing the use of military force in Iraq, against reauthorizing the Patriot Act and favored allowing oil drilling in the Arctic National Wildlife Refuge in Alaska, framing it as a matter of indigenous people’s rights. Akaka’s place at the front of the roll call line was so ingrained in Senate culture that, even after the day he officially left the Senate, the clerk called his name before acknowledging his mistake.